The gullibility of British newspapers never ceases to amaze me. The British press today carried uncritical articles about the miracles of Deeside Mineral Water. 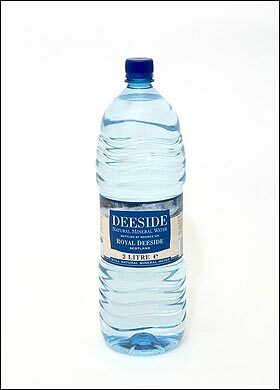 Scientists claim that Deeside Water can give drinkers a younger appearance and more radiant skin tone. Those who drank the Scottish water, which is bottled from a spring near the Queen’s Balmoral home, were 25 per cent more likely to report fewer wrinkles and better skin tone, the scientists found. A separate study at Queen Margaret University in Edinburgh showed that the minerals in Deeside fight free radicals – substances that can age cells. Dr Mary Warnock, a lecturer in Dietectics, Nutrition and Biological Sciences at Queen Margaret University, said: “Free radicals are harmful to the body’s cells and contribute to the ageing process. Reducing free radicals helps protect cells from damage. “Deeside Mineral Water has some very unusual properties and we know that people have been drinking it for its curative benefits for centuries. The results from these tests are very exciting. The water was also found to beat other brands in hydrating the skin, making it appear more youthful and smoothing away wrinkles. If that were not enough, previous studies have credited the water with easing the pain of arthritis and thwarting the growth of cancerous cells. This cancer claim, if made outside the ‘reportage’ of a newspaper would be illegal. We also see the press release copies onto the pages of the Sun and the Scotsman. Shamefully, even the BBC carried a similar story some time ago on Deeside water. This time, Mineral water ‘eases arthritis’ we are told. It is believed to have been a favourite of Queen Victoria, and has long been famed for its healing powers, supposedly helping to treat rheumatism, skin conditions and stomach complaints. Martin Simpson, managing director of the Deeside Water Company, stressed that his product was not a “miracle cure”. But he said: “It produces these positive effects because of unusual natural characteristics.” The water is filtered through layers of ancient granite for 50 years, and some believe this is the process that makes it so beneficial for health. This all smells very fishy. Water with ‘free radicals’ in it? Arthritis relief? Cancer cures? Naturally, we have to go and have a dig. And, wow, we do find some woo. Deeside Mineral Water is used by complementary health therapists because it helps enhance their treatments. If you are a therapist, please test Deeside Mineral Water by your preferred method, whether Vega test, pendulum, intuition or any other. 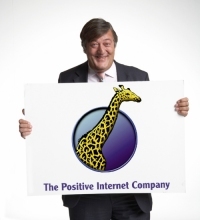 We are sure you will find positive results. If you would like to know more about the applications of Deeside Mineral Water in energy healing, please feel free to contact us. Deeside Mineral Water is used in herbal essences, tinctures, creams and supplements, combined with other ingredients, to improve their performance. It is also used by many therapists as the water to be given to patients after a treatment and as the recommended water for their ongoing consumption, because of its properties. Deeside Mineral Water has scientifically proven effects, understood in traditional circles, but also has great appeal in complementary fields because of its living energy and higher vibration than other waters. Water is the basis of all life and we understand its role at a much deeper level than most, having undertaken research into this area over many years. We have also investigated some of the less well know and alternative theories on water, energy and health. Ask your pendulum which water is the best for well-being! Vega testing? Intuition? Living energy? Energy Healing? Higher Vibration? Ask your freekin’ pendulum? It gets better. This water is good for your pets too. “Birdline UK tested Deeside Mineral Water on troubled parrots and found a significant improvement in a short time.” So, the water can also prevent Norwegian Blues from pushing up the daisies. So, what of this new ‘research’? Well, I can’t find any. Maybe it is out there. The lead researcher in all this appears to be Dr Mary Warnock, of Queen Margaret University in Edinburgh. She “carried out experiments designed to gauge the ability of various waters to mop-up free radicals.” Her home page at the University does not list this amongst her published papers. Her bio page tells us that one of her research interests is in Complementary Medicine. Dr Mary Warnock, like no relation to Frank “Mad Frankie” Warnock of Deeside Mineral Water fame eh ? So mineral water slows aging does it ? What is the scientific word for pants ? Can anyone shed any light on this? Answers on a postcard please. Well, after some correspondence with Dr Mary Warnock of Queen Margaret University in Edinburgh it would appear that the press release, and hence these newspaper reports, were based on unpublished and non-peer reviewed results. No one is surprised. Dr Warnock has kindly offered to update me when the results are published and I will be sure to examine them on this site. Unfortunately, she has not clarified for me her relationship with Deeside water, despite asking several times. For the first time, scientists can prove that Deeside Mineral Water actually slows the signs of ageing and does so 50% more effectively than other tested waters on the market.In the first of two new research studies, Deeside Mineral Water was rigorously tested against other major international market leading brands of bottled water. The study was undertaken by scientists at Queen Margaret University in Edinburgh and confirmed that Deeside Mineral Water is 50% more effective than other waters tested in suppressing free radicals. and this is based on unpublished research. What this has resulted in is massive publicity for a quack water company and column inches in newspapers that would cost a fortune if paid for. Unpublished research is by its very nature highly provisional. It has not gone through the processes that can lead to confidence in a result. Researchers have not been able to fully explore their results, formulate their conclusions and test them with their peers. Premature publication of results by PR undermines the scientific process and should be condemned. Such activities corrupt science and diminish the authority of scientists in public debate. QMU ought to be ashamed of themselves. “Dr Mary Warnock, like no relation to Frank “Mad Frankie” Warnock of Deeside Mineral Water fame eh ? So mineral water slows aging does it ? “I agree with you, Brian – all the signs of woo. If this claim is true, can we be given the absolute improvement rather than the relative improvement? So, there is evidence that the people of Deeside are healthier or are cured quicker than other places, is there? If what Brian says is true, this is serious breach of impartiality. I’ve emailed Deeside Water to see what they say. Birdline UK tested Deeside Mineral Water on troubled parrots. Apparently Dr Mary Warnock is keen on Complementary Medicine. Now there’s a surprise. Deeside Water, of course, have previous form for ludicrous overblown health claims (and here as well). Yes, Dr A. I came across some of the previous claims whilst browsing last night, but it was too late to spend much time reading them. I’ve not had an answer from them about any relationship between Dr Warnock and the company yet. Thanks for the links, Dr A. It looks like they pick up a different condition every year or so and claim their water makes it better. Interlocking spirals of woo and quackery backed up by peddling their wares. So woo and profit go hand in hand once again. I doubt very much that this water was filtered through layers of one of the hardest and most impervious rocks in existence. I would imagine it had very high levels of radioactivity (comparatively) if it had lurked in the vicinity of granite for any period of time – especially 50 years. Maybe this is McTachyon water and it is the Scottish tachyons that enable the healing energy. Can anyone pluck out health and mortality stastics for the region ? I would bet that they are average in every way. I would also bet that virtually any chemist (and especially those in the water companies) would find no difference between this stuff and any other water (other than possibly slightly variable mineral content and maybe higher radiation levles from the granite). I asked my pendulum and it said that the Warnocks were complete tossers. Then it packed up because of the interference from my irony meter which had just gone critical (and has since imploded). The astounding test results could only arise if the control group received no water. Maybe its the magic water at Lourdes, France that effects cures, rather than religious magic!!! Patrick Holford approves of this water – surely that should be enough for anyone – it alkalizes you and everything. Deeside water has been passed by Prince Charles. That undoubtedly explains its efficacy. “I received a copy of an email you sent to Susan Blair at Red Signal PR asking about the Deeside Mineral Water research. Today’s Telegraph magazine, P17: “Deeside Mineral Water…the only bottled water worth drinking as it is the only one to have clinical proof of its benefits on the skin; it’s also rich in anti-ageing antioxidants. Try to drink a litre of bottled water a day.” Quality!